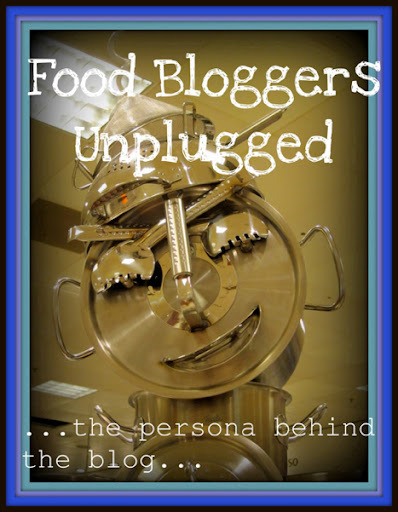 Thank you to Kate from What Kate Baked and Julia from Eat Healthy But Tasty for tagging me in Food Bloggers Unplugged - a new meme doing the rounds created by Susan, from A Little Bit of Heaven on a Plate. 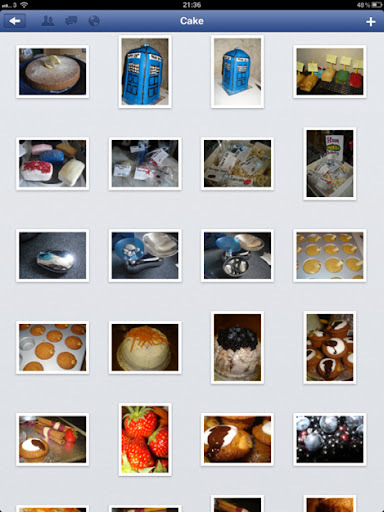 I used to upload all my cake/food photos onto a couple of online albums on Facebook as I had a temperamental laptop that refused to keep things in folders. I remember skipping back to a couple and thinking "now where did I put the recipe for that?" It was especially tricky when I had shared something and friends had commented on it, or asked me for the recipe. I dont write everything down and I thought online would be the easiest way to chronicle it all. It was only when I started my blog did I discover such a close and caring community. I love websites like Tastespotting and Foodgawker. Other bloggers are a huge and currently changing inspiration, I've bookmarked countless pages! Also the seasons impact heavily on my home cooking, along with eating locally produced fruit, veg and meat. It's really good to see Kentish stock in big supermarkets like Sainsburys. 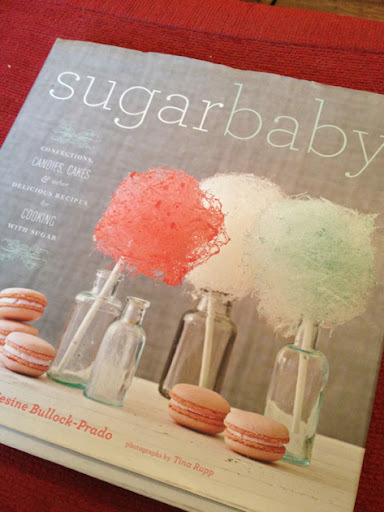 Sugar Baby by Gesine Bullock-Prado would be the most splattered if I didn't have an indescribable urge to keep my cookbooks well out of sight of boiling vats of sugar! If I'm using recipes off the Internet, I often stack my iPad up on the coffee machine so it is well out of reach of a wayward splash. New York. September 2009. The day before my birthday and the morning of the day Jim proposed to me later in Central Park. A breakfast monolith called The Lumberjack (huge stack of thick fluffy American pancakes, sausages, bacon, eggs, love, melted butter and maple syrup). Metro Diner. It was HUGE! I ate so much, I was convinced I was going blind. I'd go back to New York just to eat that again. Either an indoor smoker or someone to build me an outside wood burning pizza/bread oven. Or, if they came into mass production, one of these fridges. I wouldn't put it on the ceiling though as they mention. That's madness. My mum. The kitchen, easily being one of the smallest rooms in their house was (and still is whenever we have a family do!) always crowded. I love that. 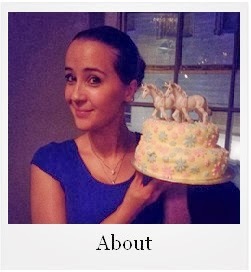 She is an amazing cook AND baker. If you've read any previous memes then you'll know I have a pea phobia and I take pole dancing lessons. 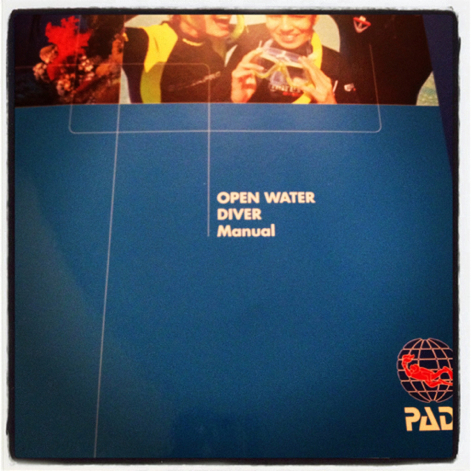 Maybe you'd be surprised to learn that I'm taking an open water diving course with PADI. Jim and I are off to the Maldives on our honeymoon in under six months where we can dive to our hearts content. We've got two dive days at a local swimming pool, a theory test of sorts and then two open water dive days. Which Jim has kindly booked for April. In England. In some freezing lake. Thanks darling! Now to pass it on! I struggled here a little, as a lot of the blogs I wanted to give to pass this onto, already have been tagged. So I could only really pass it onto Cookistry and Cornflower Kitchen. I've loved reading everyone else's Unplugged. 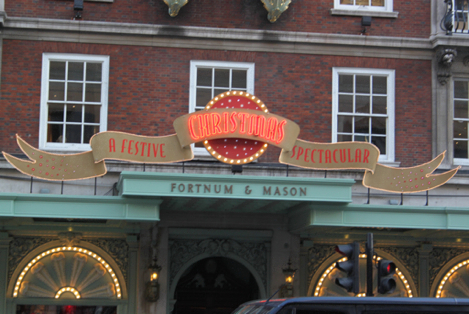 After weeks of watching all the delicious things popping up all over the foodie blogosphere, the event 50 brilliant food bloggers had all been looking for took place on Friday 18th November at Fortnum & Mason. 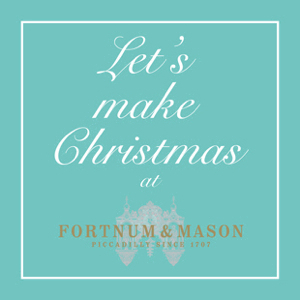 Created by the gorgeous Vanessa Kimbell, Let's Make Christmas has given us the opportunity to actually meet bloggers face to face and discuss all things food and beyond. 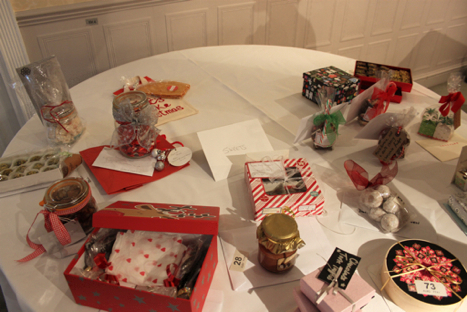 Each of brought gifts to swap. 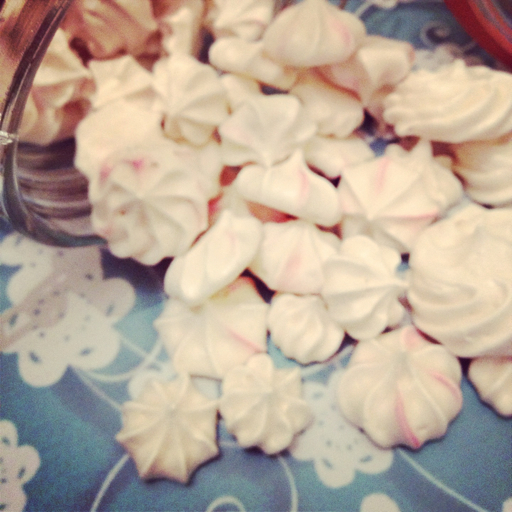 I took along some Triple Ginger Cakes baked in Kilner jars, some Glittery Chilli Vodka and some little Meringue Nibbles. 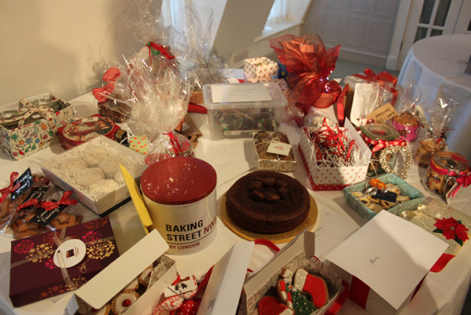 These are the laden gift tables, the baked one proving to be very popular! 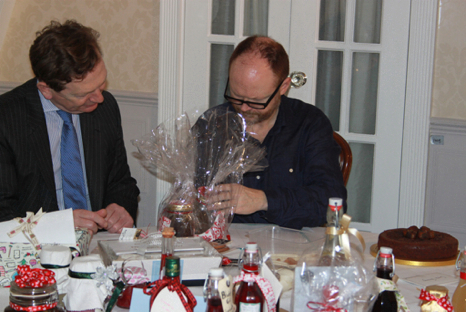 After judging the entries, baking king Dan Lepard announced the winners. Congratulations to them all! Can't wait to see the recipes! 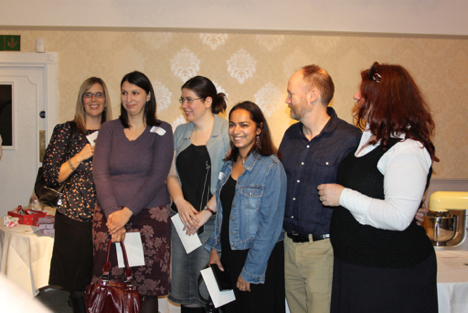 It was really lovely chatting to some new and old bloggers alike including Laura from Craftstorming, Julia from Eat Healthy But Tasty, Kate from Turquoise Lemons, Kate from What Kate Baked and Choclette from Chocolate Log Blog. These are the gifts I received in the swap. 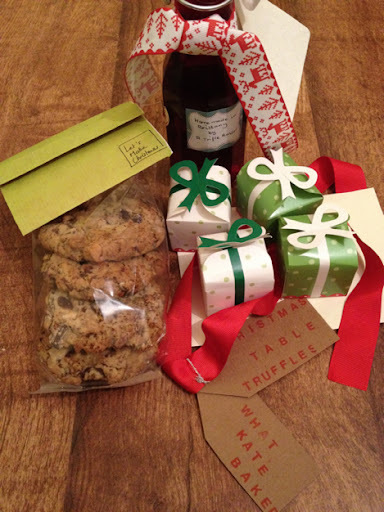 Some lovely Blackberry Liqueur from A Trifle Rushed, some Table Truffles from What Kate Baked and some Christmas Feel Good Cookies from Cindy at Food for Thoughts. All of which, I can personally say are delicious. Jim was very impressed too! Overall, it was a great day spent in great surroundings with even greater people. I honestly hope we can all meet up again very soon! With colder mornings, my seasonal craving for stodge raises it&apos;s ugly head. Anything with carbs is unfortunately quarry. 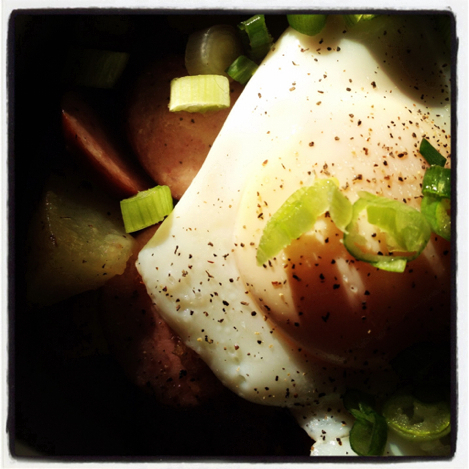 This delicious amalgamation of potatoes and sausage is right up my street. 1, In a large frying pan, add a couple of tablespoons of oil and the butter and fry off the potatoes, onions and sausage until they are golden. Try not to break up the potatoes too much. 2, Add in the spices and heat through until they start to smell very aromatic. Season to taste and add in the chopped parsley. 3, Top with fried eggs and tuck in! This is the third item I will be bringing to Vanessa Kimbell's Let's Make Christmas event at Fortnum & Mason on the 18th November. I have been following #letsmakechristmas on twitter and Im getting more and more excited about things that are popping up! Three ingredients, a 100o/c oven and a little time will yield tiny nuggets of melt in the mouth wonder or crunch, dependant on how you want to eat them. Ive always been fascinated by meringue. Those huge billowy clouds piped with fresh cream and topped with fruit behind the glass counters of bakeries stacked in front of eclairs and scones spilling out fillling. The hefty wedges of lemon meringue pie I fought one of my sisters over as a kid. And the unbridled joy of making meringue mushrooms in my own kitchen. Above the whirr of Rosie, my Kitchenaid, its near on impossible not to look into bowl and watch translucent egg whites turn foamy and then double up in size and turn a brilliant white. Piped into tiny rosettes these are perfect for satisfying a sweet tooth and perfect respite from cloying truffles and dipping your hand into that tin of Roses. 2, Place the egg whites into your stand mixer and beat the eggs until they start to turn foamy. Splash in the vinegar and crank up the speed. 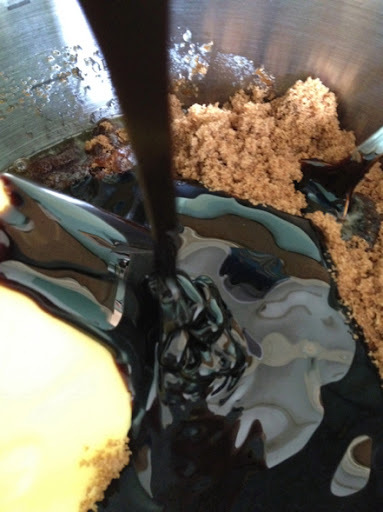 3, Beat until they reach soft peaks, reduce the speed of the mixer to medium, and slowly spooning in the sugar allowing it to be fully mixed in before adding the next. 4, Beat the meringue until it turns bright white and a tiny bit rubbed between your fingers doesnt feel too grainy. 5, Spoon the meringue into a large piping bag fitted with a small star nozzle and pipe little dollops onto your baking sheet. 6, I also painted some red stripes up the inside of my piping bag with a little red food colouring to give some of them a little candy cane effect. This is another one of the things I will be taking to Vanessa Kimbell&apos;s Let&apos;s Make Christmas event at Fortnum & Mason on the 18th November. Oh, Christmas! How you tricked me into eating one more roast potato. And a mince pie. And to finish that pan of mulled wine. And then another mince pie. Nothing will fix the pain I'm in apart from a classic Bloody Mary. The punchier the better. This vodka is perfect for my favourite Bloody Mary recipe. And exceptionally easy to make! 1, Chop up your chillis finely and add them to the vodka. 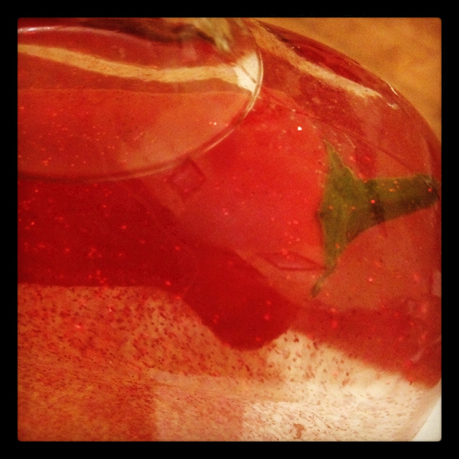 Give it a good shake and leave to infuse it&apos;s spicy kick for two to three hours. Longer if you dare. 2, Strain out the chilli bits, pop in the glitter and the whole chilli. Reseal and shake. 3, Soothe your hangover with a Bloody Mary. This is one of the things I will be taking to Vanessa Kimbell's Let's Make Christmas event at Fortnum & Mason on the 18th November. I'm really honoured to be invited and I'm really looking forward to it! 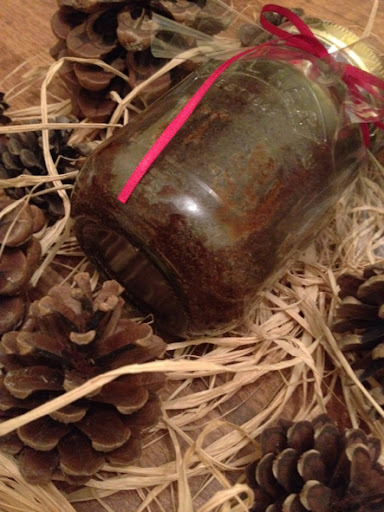 I'd saw the idea of baking cakes in jars on one of my favourite baking blogs. And was desperate to give it a go not only because it looks exceptionally cool but it would be easy to seal and transport. There was a lot of trial and error in finding a recipe that didn't shrink when cooled too much and that cooked through nice and evenly. It was also important that the cake didn't require icing and this gorgeous ginger cake was certainly a winner! You will also need two Kilner jars (1 pint/500mls). To prepare these, wash them thoroughly in hot soapy water, rinse and the wash them again in hot water. Sterilise them either in a water bath or in the oven. When you are ready to fill your jars, dry them whilst they are still warm, coat the insides with cake release or cake spray. 1, Preheat your oven to 160o/c. In a medium saucepan, melt together the butter, sugar and treacle. When the sugar has dissolved, heat very gently for about five minutes. Do not boil. Remove from the heat and set to one side. 2, In a separate bowl, sift all the dry ingredients together and whisk gently so they are mixed together completely. 3, Add the milk to the buttery-sugary-treacly mix and if it is still very hot, leave to cool slightly before adding your egg and chopped ginger. Beat it all together until well combined. 4, Make a well in the dry ingredients and pour in the wet. Slowly bring it together until you have a smooth batter. 5, Pour the batter into your prepared Kilner jars (see above). Don't fill more than half way or you will have pillars of cake rising from the tops of the jar! 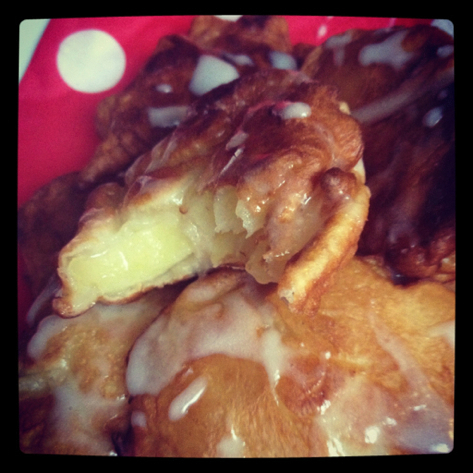 (Which I admit was a tasty mistake on the test run of this recipe!) If you do have any left, bake in cupcake wrappers for 20mins or so. 6, Place in a baking dish or on a baking tray and bake for 30 minutes. Test the cake is ready by inserting a skewer through the middle, all the way down the bottom, and back up. It should come put clean. 7, Remove from the oven, wipe down the top and inside for any smudges of cake release and cake crumbs. Leave to cool slightly for 30minutes or so before securing the lids. The Kilner jars I use are the preserving ones with the two part pop caps. They will pop shut. They will retain their heat for a LONG time so handle with care. 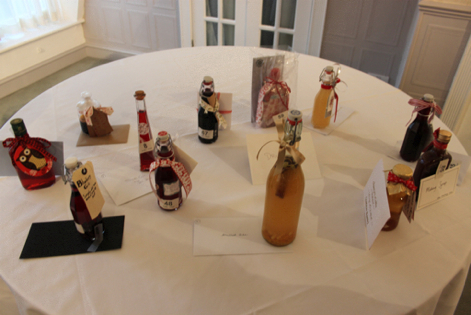 8, When they are fully cooled, dress up with a little cellophane and ribbon. 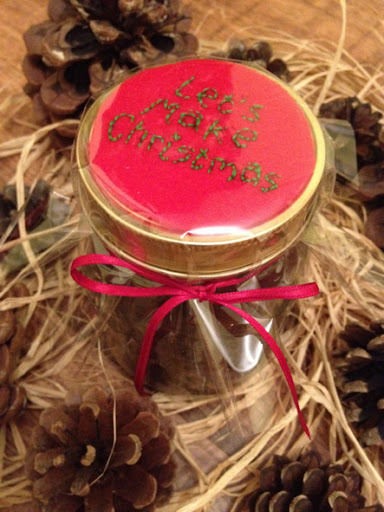 Perfect for a something a little different in your christmas hampers! I added a little hand stitched tag on mine for a special touch. 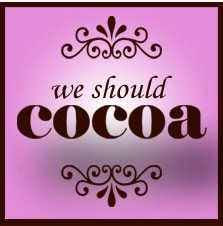 We Should Cocoa is hosted this month by Chele from Chocolate Teapot. You can see the red hot chilli round up here! This month, the ingredient is apples. You can find the rules and details of how to enter here! One of the perks of this time of year is toffee apples. You can't deny it. You can't not love the idea of an apple encased in thick amber-esque toffee. That teeth worrying crunch as you break through it. 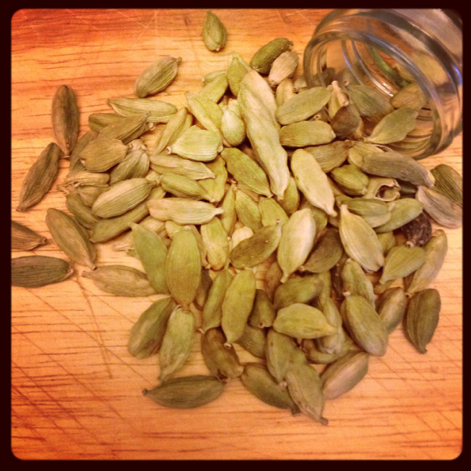 The sweetness giving way to comparative sourness. 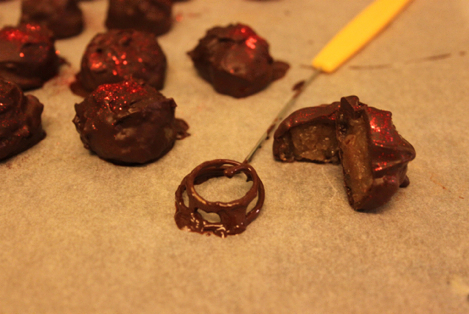 I was going to make chocolate covered toffee apples. 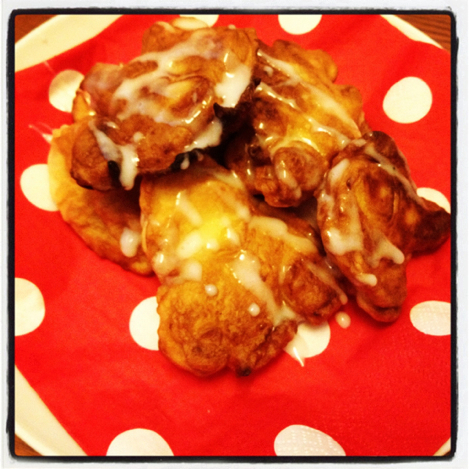 Then I found a recipe for these little smashers. 1, Add the butter and sugar to a heavy bottomed saucepan and place over a medium heat. Stir until the butter has melted and the sugar has dissolved. 2, Leave the caramel to bubble away for around 4-5 minutes or until it it has turned golden brown. 3, Tip in the lemon juice, apples and cinnamon and stir to coat in the caramel and reduce the heat. 4, This now needs to be reduced down so you have around 250ml (or 1 cup measure) of thick apple paste. I needed to stand by mine for the last couple of minutes, just turning it over so it didn't stick or burn on the pan. 5, Leave to cool thoroughly and then roll into 18 small balls. Pop these on a baking tray and freeze for at least half an hour. 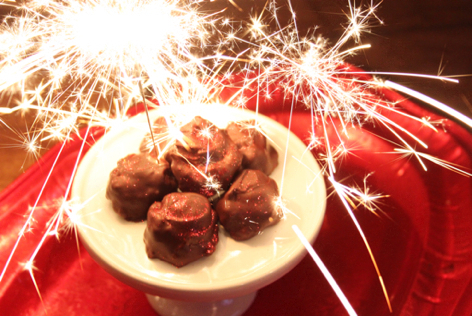 6, When you're ready to start coating, melt your chocolate in a bain marie and dip the balls in. Make sure they're covered completely and tap off the excess. Place on a lined baking sheet and sprinkle with edible glitter. 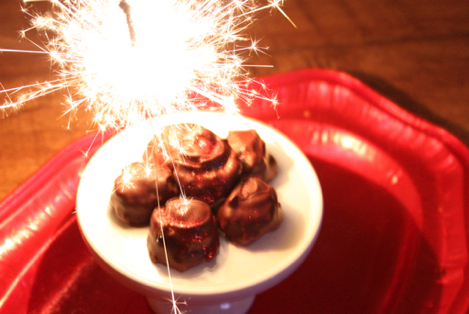 Perfect for Guy Fawkes Night!